Just in time for the launch of our new partnership, we chat with Rajina Gurung, Seafood Sustainability Advocate with the Marine Conservation Society. MCS assign ratings to both farmed and wild caught fish and communicate them to consumers and businesses in a freely accessible format through the Good Fish Guide. These ratings reflect the sustainability and environmental impact of the fishery or production method in question and are a way of communicating the relative sustainability of seafood in an easy to understand and familiar "traffic light" format. We use five different colours – from dark green to red – to represent each of the 5 ratings. Green rated fish, "Best Choice", are rated 1 and 2 on the Good Fish Guide and indicates sustainably caught or responsibly farmed fish. Yellow rated fish is rated 3 and indicates fish which are an ok choice but requires some improvements. Amber rated fish, "think", is rated 4 and we recommend you seek alternatives where you can. Red rated, "fish to avoid", indicates fish from the most unsustainable fisheries or farming systems and are rated 5. For each farmed fish or fishery the 1-5 ratings arise from the assessment undertaken against key criteria, MCS considers reflect the issues of greatest concern for the conservation and sustainable use of marine resources. For wild capture fisheries, these are: stock or species status; management; and ecological impacts of the fishing or capture method. For farmed fish, these are: feed sourcing and use; environmental impacts and interactions; fish welfare; and regulations and management. The Good Fish Guide provides advice to UK consumers and industry on over 150 species of seafood, for nearly 700 different fisheries and farm types. We update our ratings twice a year in summer and in winter – in response to the publication of scientific advice for the main commercial species in the North East Atlantic by the International Council for the Exploration of the Sea (ICES). Why should Abel & Cole customers care about choosing sustainable fish and seafood? Our seas face a wide range of threats. Climate change, pollution, habitat and biodiversity loss are all impacting our seas; plus 90% of global fish stocks are either fully or over-exploited. Destructive fishing practices are damaging sensitive habitats and accidently catching other marine wildlife such as seabirds and turtles. Fish farming (aquaculture) is rapidly expanding to meet increasing demand for seafood, but if this is done badly it can also damage the environment in which it operates in. All these factors combined mean that urgent action is needed to restore the health of our seas. Consumers can play a key role in securing the future of our seas and marine wildlife by making more environmentally responsible choices when buying seafood. 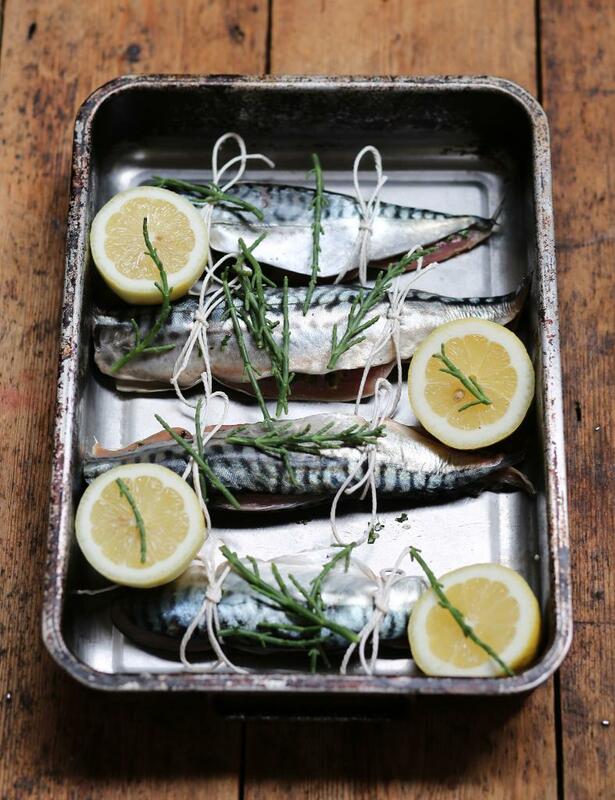 By choosing seafood from the most sustainable sources consumers encourage businesses to demand it from their suppliers and in turn help support the market for seafood that is caught or farmed in the most environmentally responsible way. You are likewise reducing demand for the most unsustainable seafood like those that are red rated on the Good Fish Guide. positive effects of the MCS? Since we were formed in 1983, our campaigns to protect the UK’s seas, shores and wildlife have achieved so much. Beachwatch, one of our biggest engagement and citizen science programmes to date, was launched in 1994 to bring attention to the growing problem of marine litter and the increasing amount of rubbish found on our beaches. Tens of thousands of volunteers have since helped MCS clean beaches and monitor litter levels. The data that we have been able to collect with our volunteers has resulted in steps to reduce pollution from plastic bags, microbeads, and more, and the information feeds into the International Coastal Cleanup which gives a global picture of this litter problem. In 2002 the MCS Good Fish Guide was launched. 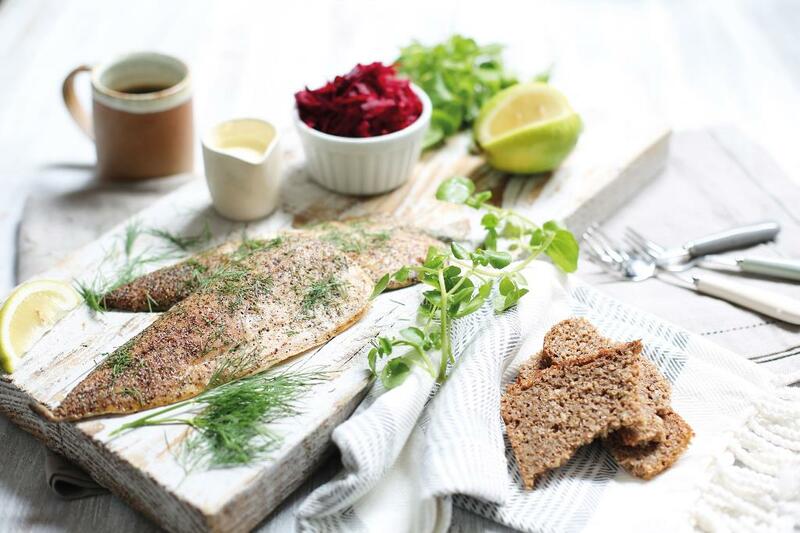 It quickly established itself as a vital tool for consumers, industry and chefs, and our advice is now used to shape the fish-buying ethos of leading supermarkets, restaurants, suppliers and caterers. 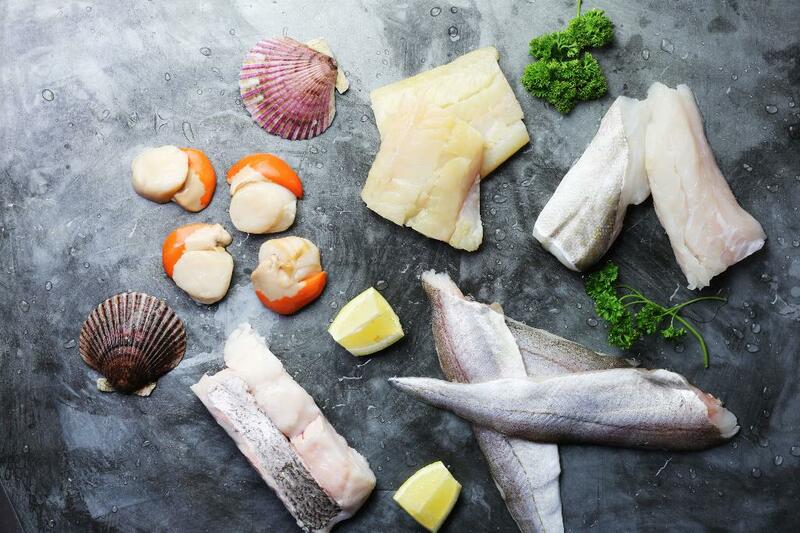 In 2016, we influenced the sustainability of approximately 300 million UK seafood meals! Last year nearly 800,000 people took part in our campaigns, and almost once a week governments, councils and their agencies change their position to meet our advice.In 2013 MCS we succeeded in convincing the UK Government that a charge on single-use bags for English shops was needed, following introductions of charges in Northern Ireland, Wales and Scotland (the charge in Scotland came in in 2014). How does partnering with a business like Abel & Cole help spread the message of eating sustainably? Partnering with a business like Abel & Cole gives us the ability to reach new and wider audiences and provides vital funds for MCS to keep doing our work - like running the Good Fish Guide. How about organic fish farming? Responsible fish farming (also known as aquaculture) can help take the pressure off wild capture fisheries and in some cases be a more environmentally responsible choice. MCS assesses the environmental performance of many global aquaculture systems, species and standards, including those certified as organic. Organic certified seafood performs well in our assessments as chemical inputs are limited, stocking densities of fish are low, and the feed used utilises trimmings from human consumption fisheries. Organic certification also provides traceability to source and has a consumer facing label on pack allowing people to preferentially choose responsibly farmed fish. What are some other things concerned customers can do to support the marine environment? Concerned customers can support the marine environment by visiting the Good Fish Guide online or downloading the free app to find the most sustainable fish to choose and unsustainable fish to avoid when in the supermarket or eating out. By choosing sustainable seafood, you can help ensure our oceans are full of fish for future generations. There are many other ways to support the marine environment including reducing the use of single use plastics and following Marine Conservation Society's campaigns on Marine Protected Areas. We run beachwatch, which is our national beach cleaning and litter surveying programme, helping people all around the UK to care for their coastline. You can volunteer at a beach clean by visiting our Beach Clean website and signing up to an event near you. We also run a nationwide Sea Champions volunteer programme where you can get involved in many different activities including organising beach cleans, helping out at events, participating in campaigns, giving talks and raising funds for MCS. best to avoid right now? The best fish to eat are green rated fish on the Good Fish Guide and underutilised fish which have been caught or farmed responsibly such as hake, coley, mackerel and rope grown mussels. You should avoid red rated fish on the Good Fish Guide such as wild seabass, wild Atlantic halibut, uncertified warm-water king or tiger prawns and European eel. 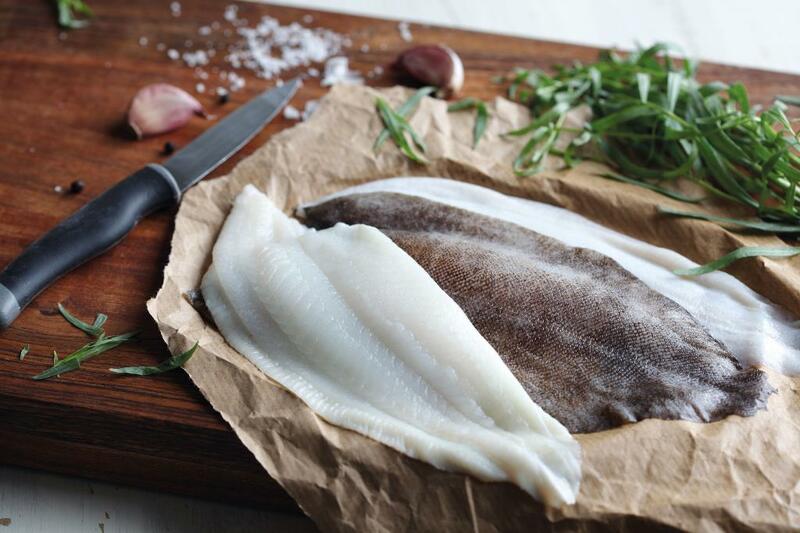 If you want to eat seabass and halibut, farmed seabass and farmed Atlantic halibut is a better alternative. Tiger and king prawns are farmed in warm waters, imported from countries like Thailand, Indonesia, Vietnam and Madagascar. If you want to buy prawns, small cold-water MSC certified Northern prawns (which are usually in prawn cocktails or sandwiches) are a better choice than warm-water prawns. If you choose to eat king or tiger prawns, the best choice is organic certified king or tiger prawns.